We encourage you to come early to get a place in line. Thanks to your generous support of the communion offering on the first Sunday of each month, our Community Assistance Ministry is able to provide groceries, toiletries, a hot meal, Giant gift cards and more to over 250 guests each month. As the number of guests continues to exceed 250 families each month, this ministry would not be possible without your ongoing support. Thank you! On the third Saturday of each month, something special happens on the corner of North Glebe Road and North 16th Street in Arlington. It’s called Community Assistance, and it’s changing lives. It’s changing the lives of hundreds of women, men, and children who are struggling to make ends meet. It’s changing the lives of more than 425 volunteers who have found a place to serve others. And it’s changing our community into one that seeks to work together to give a helping hand to our neighbors by providing a safe place to enjoy a good meal, listen to music, receive groceries, clothing, a health screening, and – most importantly – experience God’s love. Community Assistance is unique. 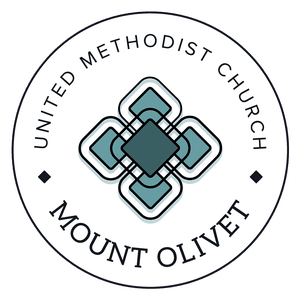 It began as a ministry of Mount Olivet United Methodist Church in 2007. Then it affiliated with GRACE Ministries, which made it part of a network of United Methodist-supported organizations. Now, it is supported by a diverse group of faith communities, individuals, local businesses, foundations and social service organizations. Generous financial contributions and hands-on help from our partners make it possible to serve a growing population of low-income residents from our community. Each month, volunteers welcome members of more than 225 households into the doors of Mount Olivet to receive a hot meal, groceries, clothing, and gift cards for food. There is a program for children with crafts, stories, and games. The children also receive a supplemental bag with extra food for them – granola bars, mac & cheese, and more. Health screenings are available on a monthly basis. We also offer referrals to other organizations that provide services and/or resources for our guests. There are many ways to participate in Community Assistance at Mount Olivet. Donations of clothing, toiletries and household items. Please bring them to Mount Olivet before 3:00 p.m. on the second Sunday of the month. 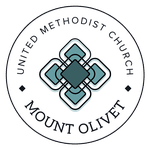 We are accepting donations beginning February 14, 2019 after a hiatus due to construction at Mount Olivet. Men’s, women’s and children’s new or slightly used seasonal clothing that are clean and ready to wear. *We are accepting new donations beginning February 14, 2019. We encourage families to volunteer together. Childcare is provided for infants and toddlers, and elementary-age children may participate in the children’s program. Older children and teens are welcome to volunteer in selected areas. Community Assistance needs financial contributions to sustain its ministry. Financial contributions are tax deductible. For example, a $25.00 donation provides groceries, clothing, and a Giant Food card for a household for one month, along with dinner and the children’s program on the day of Community Assistance. You can give online by clicking the button below and indicating on the form that your donation is for Community Assistance. Be sure to select Community Assistance from the drop-down menu of the giving form.